To connect people of excellence that are called to the marketplace to build God's Kingdom in the "Seven Mountains" of culture. To codify certain standards of conduct and ethics; to provide credibility for people to relate to regarding this (still) new and exciting area of ministry; to open up doors of possibility to multitudes to minister with their God-ordained gifts; to bring a standard-level of mastery, achievement and accountability to our craft through certification and ordination; to be a conduit for professional opportunities to members. 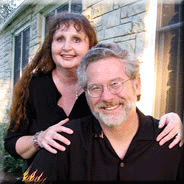 Dr. Charles and Liz Robinson founded WISE Ministries International in 2005. WISE is a training, equipping and service ministry to businesses and ministries as well as enterprises in all seven mountains of culture. Together, Charles and Liz have over 40 years of collective business and managerial experience and they are experienced pastoral counselors for individuals, marriages and families. Additionally, they are widely sought after for their acumen for developing spiritual leadership in ministries. Charles has experience being a Talk Radio Host in Central Texas and has appeared on and hosted Christian television shows. Liz has Bible Theology Training from the Faith Theological Seminary in Tampa, Florida. Liz also has a B.S. in Business Administration in Marketing. Charles possesses a Doctorate in Theology from The Joseph Global Institute. Charles also holds an Associate’s in Business Data Processing and has completed his entire computer courses equivalent to a BS in Computer Science. Charles is a Certified Professional Coach; a Certified Crises Chaplain, Charles has also operated as Director of Sales and Marketing and is the CEO of several non-profit and for-profit companies. As experienced church and corporate pastors, intercessors, chaplains, teachers and business owners, they and their team of intercessors and business consultants are equipped to support and empower you and your ministry for success. Apostle Charles is a member of the International Coalition of Apostles, ICA led by Apostle John Kelly, Global Sphere's, led by Apostle's Chuck Pierce and Peter Wagner, and the International Society of Deliverance Ministers, ISDM. Charles also is a member of the International Association of Coaching, IAC. Charles and Liz are the directors of the International Apostolic Marketplace Intercessors Network, the IAMIN. The IAMIN is advised by an external board of directors with a broad-base of marketplace ministry experience. Charles and Liz maintain offices in Austin, Texas, Hollywood, California and in Washington, DC and minister regularly through the Gates2Hollywood and Gates2DC ministries. Charles is a Professor of Theology at the Joseph Global Institute. Charles and Liz have brought the Word of the Lord to over ten thousand people over the last 25 years. Charles is the convener of the Bi-Annual Tipping Point Gathering 7-UP “UnConference”. Dr. Bruce Cook is founder of The Kingdom Keys and The Kingdom Economic Yearly Summit (K.E.Y.S.). It was a set and appointed time in 2008 for the church to launch the Kingdom Economic Summit just as the nations of the earth have the World Economic Forum each year. Dr. Bruce Cook is an experienced and highly successful Kingdom networker. He is considered one of the nation's leading authorities on fundraising and philanthropy, and has published extensively on these topics in leading journals and trade publications. 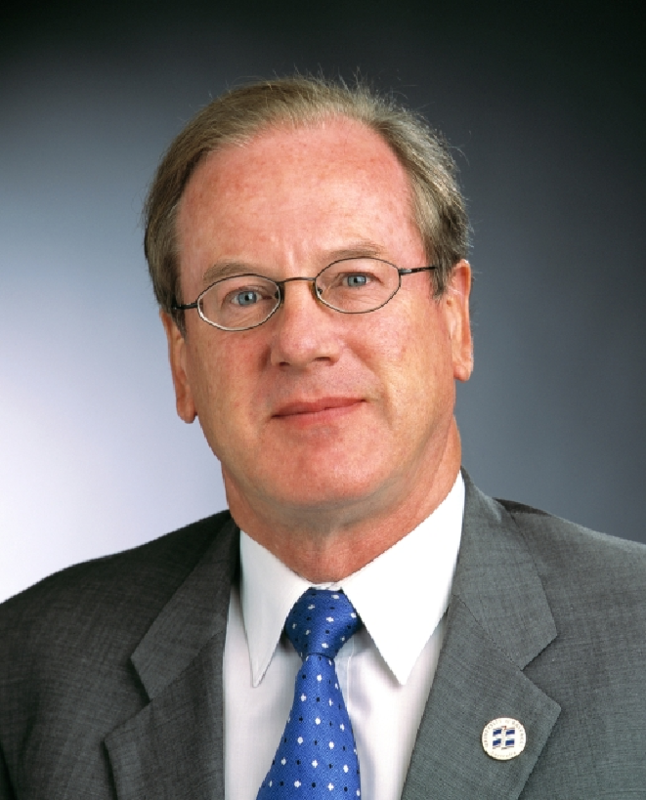 He has significant experience in business consulting, fundraising, private equity investments, business development, marketing, corporate communications, research and higher education and is considered a leading authority on marketing, branding, corporate communications, private equity, fundraising, business development and philanthropy. Bruce Cook, Ph.D., is the President and Founder of VentureAdvisers, which he launched in January 2000. Bruce has 25 years of experience in fundraising, private equity management and investing, venture capital, marketing communications, public and media relations, banking, software, and higher education teaching and administration. He is considered one of the nation's leading authorities on fundraising and philanthropy, and has published extensively on these topics in leading journals and trade publications. Since 1996 he has been engaged continuously in the investment and high tech arena, and has been involved in several early stage enterprises. Past positions include Research Coordinator for The University of Texas Investment Management Company (UTIMCO), which manages approximately $16 billion in assets; Director of Corporate Relations for Intelitrak Technologies, Inc., Special Ltd. Partner of Texas Breakout Ventures, L.P.; and Vice President of Venture Services, e-Com Holdings NetWork, Inc., where he assisted IBT Technologies, Inc. and BOXX Technologies, Inc. in securing 1st rounds of venture funding. Bruce completed a doctorate in Higher Education Administration at The University of Texas at Austin and has written several books, including a history of fundraising. His dissertation was entitled, "The Role of University Presidents and Chancellors in Fund Raising," and was based on a national study plus a review of 3,000 books, articles, monographs and other bibliographic items. He has been a director, officer and/or member of numerous nonprofit and professional organizations, and is a 1998 recipient of the Grenzebach Award for Outstanding Research in Fundraising from the Council on Advancement and Support of Education, Washington, D.C. Bruce and his wife enjoy music and ministry in their spare time and have recorded 2 CDs. They have two grown sons. Stan is a well respected commercially savvy Director/CEO/GM with significant local and international experience in converging investment in technology, telecoms and media. With a blue-chip management and corporate background enhanced by a Doctor of Technology, top-tier MBA and entrepreneurial experience. He is a team builder and business builder with a reputation for getting things done. His particular strengths in Directors roles, general management, commercial development, business turn around, innovation and strategy, This together with stock market trading and investment experience round out Stan's successful career to date. Then he moved to Sydney to establish Wang Labs and then Toshibas R&D centres and during this time in the early 1990's God revealed some of the nature of the spiritual battle and led him and Jane his wife on lonely path of revelation of strongholds and battle strategies of the God of this world. They published a book "Clearing the decks" on the strongholds over the Church and many other informal reports over this time. He was led to become Director of the Australia Technology Park in Sydney and thus started his growth period of identifying and nurturing small technology business. Following this he was head hunted to go to Malaysia and establish a venture investment program for entrepreneurs. They were part of Calvary church in KL and worked on a model of prophetic strategy planning for Christian business. More recently he was Director of the University of Ballarat Techno Park and God lead him to establish the "BoardRoom Prophets" group initially in Sydney. This is to help enable business owners and company directors and senior business people to hear and recognise God's still small voice. During this time Stan's research enabled him to gain a Doctor of Technology. This then led to the establishment of CIB Ventures a fund to enable the body of Christ to grow by investing in itself as good seed needs good ground. These combined with prophetic strategic planning and investment opportunities are the new way we see God growing the current harvest.